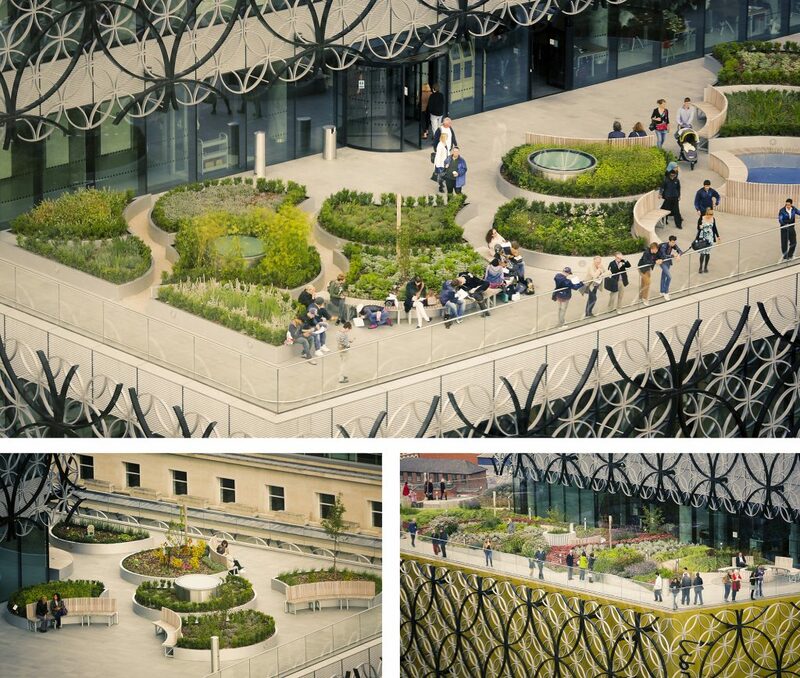 After being contracted by Frosts Landscapes, Europlanters manufactured bespoke 5.2 metre diameter, GRP teardrop shaped planters for the Library of Birmingham. 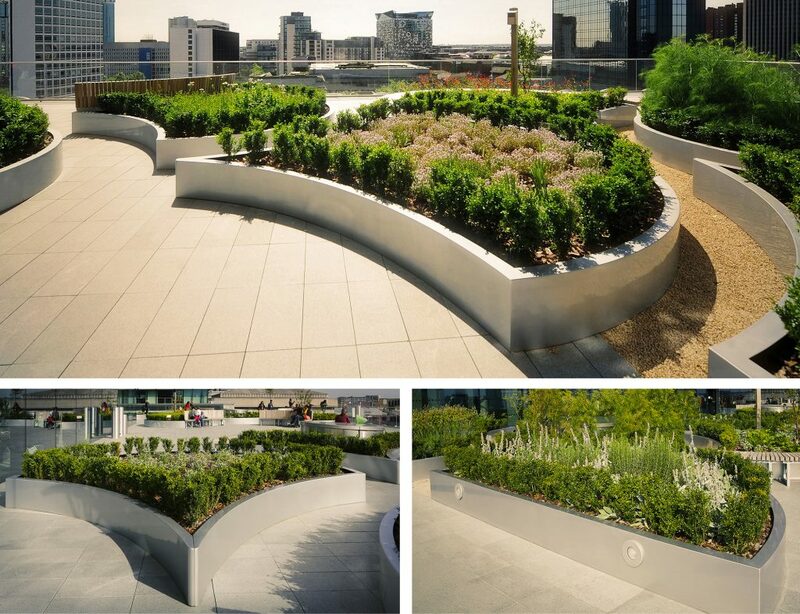 These were then used as flowerbeds to create a tranquil space on level three. The mould for the planter was made without a base for many reasons, mainly so that the shape could be flipped over to create a mirror of the other (saving on costs) and also so that they could be placed directly on to the teram. Here visitors can relax, catch their breath or take a look at the impressive views of the Birmingham skyline. After being transported from the Europlanters factory in Stockport the planters were then lifted by crane and positioned before planting began. 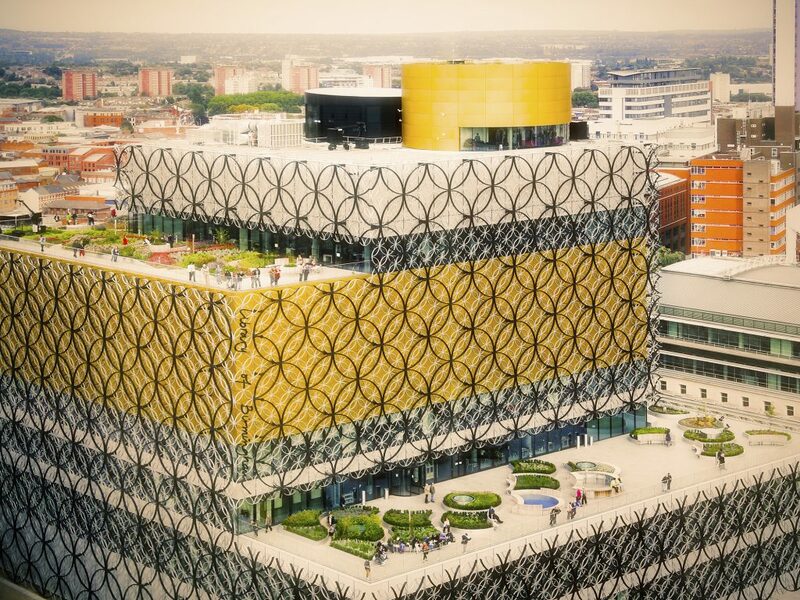 John Wilkes (Director) said ‘we have done some exciting projects since 2012 but perhaps the most memorable has been the New Library of Birmingham, as British manufacturers we are proud to have been involved in this very prestigious project’.